CD review: "Movimento" and "Post-Scriptum"
Let the Parisiennes have their chanson, and the Spaniards their flamenco. The Argentineans can keep their tango, and the Americans their jazz. If ever I'm sentenced to some isolated outpost of civilization, just let me take a few discs of Portuguese fado with me. I'll gladly trade you all my Sinatra for a single disc by Teresa Silva Carvalho, my Ella Fitzgerald for your Fernanda Maria. There is something deeply haunting and moving in this national music of Portugal, this salon singing from the bars and restaurants of Lisbon. And for whatever reason, the women singers of fado are unfailingly beautiful  not cute or pretty, but possessed of the kind of heart-stopping beauty that makes men mad with love and crazed with desire. It's surely further proof that life isn't fair, that God's gifts are unevenly distributed, when a women with a face to shame Helen of Troy  say, Teresa Salgueiro of the fado band Madredeus  begins singing and you realize she has a voice more pure than Sarah Vaughan's coupled to a passion to rival Billie Holiday's. 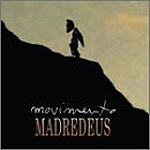 Salgueiro may have been a late addition to Madredeus once founder Pedro Ayres Magalhaes had found his instrumentalists, but make no mistake  after nine releases in ten years, Salgueiro's voice IS Madredeus. It combines an ethereal quality like Celtic popster Loreena McKennitt with the quiet strength of Ella Fitzgerald. The band's mostly acoustic accompaniment has a passing resemblance to the neighboring flamenco, but is more restrained, even a bit stately, perhaps, as if Bach had decided to write Iberian folk music. Magalhaes and keyboardist Carlos Maria Trindade wrote most of the songs here, but they are so finely crafted that each sounds as if it has existed forever, part and parcel of the Portuguese landscape. Cristina Branco is, if such a thing is possible, even more strikingly beautiful than Salgueiro, with a voice to match. She doesn't have the comfort of a band to harbor her, but is a star in her own right. As such, the focus on her latest recording  her second available in the United States  is firmly on her and her singing. No worries  Branco has an instantly identifiable singing style, one that will grab you and not let you go. The comparison that comes to mind is the great chanteuse Edith Piaf. Not that Branco sings like Piaf  where Piaf was theatrical in her singing, Branco is regal in her bearing. But like Piaf, Branco can convey incredible emotion through her voice. You don't need to speak Portuguese to know the stories of lost love that Branco sings. Passion restrained can be even more emotive than a big scene  a lesson that Branco has learnt well.